If you are worried and think you may have bad breath, you must ask your dentist or hygienist and they will help you to establish whether or not you have a problem. Over 90% of the odours causing bad breath come from within the mouth. Your mouth will be assessed and the level of your problem discussed with you. The areas that trap bacteria (stagnation areas) will be pointed out to you and then your hygienist will carefully clean around every tooth, removing the bacteria and deposits. Working together, our dedicated dentists will show you how to achieve fresh breath and total confidence. Alcohol-FREE Retardex oral rinse is colourless and does not contain sugar or any artificial sweeteners. Being pH-balanced, it is kind to your teeth and gums. 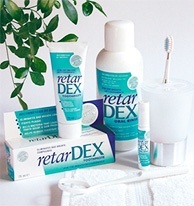 It is unflavoured - Retardex does not rely on a strong flavour to mask Bad Breath. Visit website. Denti-Brush is a breakthrough in the design of interdental brushes - it has a soft, flexible rubber-like brush head to conform to differently-sized spaces between the teeth, making it exceptionally comfortable and gentle to use. Visit Website. When used in conjunction with tooth brushing, removes 85 per cent of mouth odour. This is 60 per cent more effective than brushing alone. Visit Website. Good oral hygiene is very important in the fight against bad breath, which is why it is important to visit one of our award winning practices in Hertfordshire. We will offer expert advice on a range of oral issues including gum disease treatments, infection advice, bone loss advice, heart disease advice, strokes advice and more. Regular check-ups and cleaning with one of our fresh breath specialists can prevent the embarrassment associated with bad oral hygiene. Here at The Perfect Smile Studios, our expert dentists are passionate about your oral health. We ensure that your visit to the dentist is not only a pleasant experience, but that your are individual needs are catered for. Whether you are looking for cosmetic, general, restorative or preventative dentistry, our highly experienced team can help you. Book online today. The process starts with a free consultation to discuss your needs and requirements or book a hygiene therapy consultation . This helps you to understand the causes and the treatment options of bad breath. 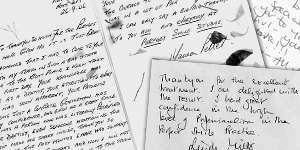 Depending on your requirements, we can customise and tailor-make individual treatments plans to suit your needs and budgets. You can opt for simple procedures to more complex involved treatments plans to produce your beautiful new smile. 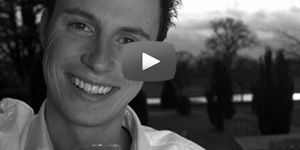 Our aim is to answer your questions and provide you with the best dental solution. 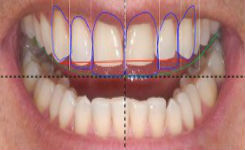 We also use Bite Analysis technology to ensure a long lasting, comfortable and a healthy final result.